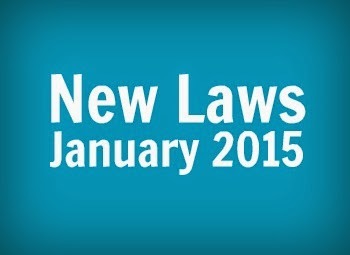 On January 1, 2015, more than 200 new laws will take effect in Illinois. Here is a brief summary of a few of these new laws. 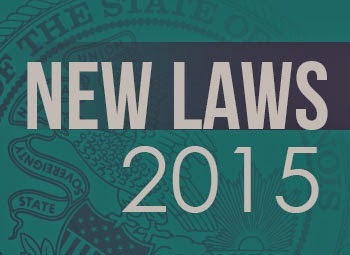 For a complete list of new laws by category, please click here. “Tax rollback day” approaches and it will mean more money in the pockets of Illinois residents. Under the terms of Illinois’ largest-ever tax increase law (passed by legislative Democrats in a 2011 lame-duck session and signed by Gov. Quinn) the income tax paid by individual Illinois residents is scheduled to be partially rolled-back from 5% to 3.75% on January 1, 2015. The corporate income tax rate will be rolled back at the same time. Kratom may sound something out of Superman, but the herbal supplement is the latest drug to be banned from minors in Illinois. A new state law takes effect Jan. 1 prohibiting youngsters from getting their hands on the plant known as Mitragyna speciosa from southeast Asia. Commonly sold in a concentrated pill form, it can offer a high similar to Vicodin or heroin but is legally sold in stores, officials said. "When people are purchasing things from the store, they believe it's safe to ingest," said Rep. Dennis Reboletti, R-Elmhurst, who led the effort to ban kratom. The former Will County prosecutor said there haven't been any known overdose deaths in the area. He said kratom hasn't been regulated federally because it hasn't been studied enough. Read more. With the holiday season in full swing, the state Capitol is largely quiet. But some legislators say this is the exact time to think of children in the state’s care. 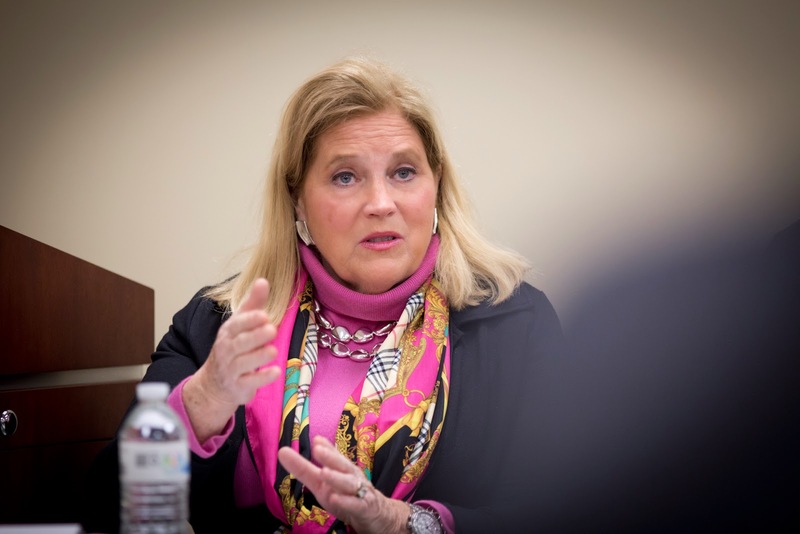 She said an upcoming hearing to examine the problems at the Department of Children and Family Services could mark the start of a bipartisan effort to greatly improve child protection in Illinois. State Rep. John Cabello, R-Machesney Park, another member of the House Human Services committee examining the issues, agrees change is needed, including making child protection a true state priority. DCFS has long been underfunded and understaffed and leadership at the top has too often changed, Cabello said. “I’ve worked with a number of DCFS people, caseworkers, in my area. I can tell you they are committed to doing what is right, committed to doing the most they can with what they have,” said the Rockford police detective who is on leave while he serves in the General Assembly. The Rockford Register Star has the story by Mark Fitton with the Illinois News Network. The Boat Drink Caucus, a musical group comprised of Illinois lawmakers, will headline for country singer Toby Keith and blues artist Buddy Guy at the Inauguration festivities for Governor-Elect Bruce Rauner on Jan. 12 in Springfield. Members of the band include Republican state Reps. Mike Tryon of Crystal Lake, Chad Hays of Catlin and Democrat Sen. Don Harmon of Oak Park. 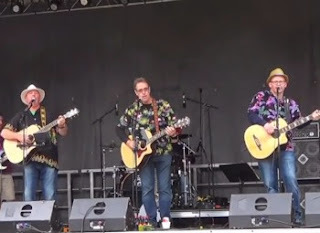 For the Inauguration event, they will be joined by Rep. Hays' sister, Carla Modglin, a singer and keyboardist from Muskego, WI as well as Tom Grassman (lead guitar), Jeff Markland (drums) and Michael "Guido" Esteves (bass), all of Champaign-Urbana. The Boat Drink Caucus combines Jimmy Buffett-like tropical style with classic rock favorites. The new“sign and drive” law prohibits the confiscation of a motorist’s driver’s license when stopped and cited for a minor (no jail time) traffic offense. Previously, Illinois drivers given a citation for certain offenses had to relinquish their driver’s licenses to police until their fine was paid or until they attended a required court appearance. Since 9/11, the need for appropriate, state-issued photo identification has become a necessity in order to travel, obtain health-care, renting vehicles, etc. The driver’s license is still the standard, accepted form of photo identification. Sign and drive allows a motorist's signature on a traffic citation to act as the guarantee they will comply with the terms of the citation and either appear in court or pay the required fine. 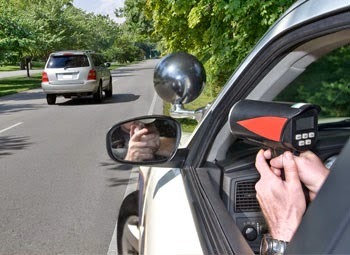 The Secretary of State can, as before, suspend driving privileges of any motorist who does not comply with their citation. The Law Enforcement Officer Bulletproof Vest Act created by HB 5688 is one of many new laws that go into effect after the first of the year. It requires law enforcement agencies that receive substantial federal and state funding for the purchase of bulletproof vests, to provide a bulletproof vest for every new law enforcement officer, and replace each vest before the warranty expires. It also requires that each government agency covered under this law will be required to apply to the United States Department of Justice under the Bulletproof Vest Partnership Grant of 1998 to help pay for the purchase. 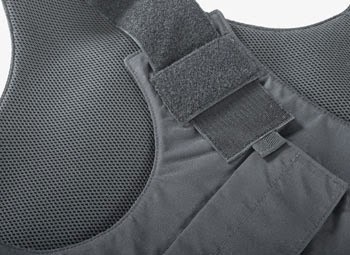 Federal reimbursement is available for up to half the cost of the bulletproof vests and the state will be responsible for the remaining half that will otherwise be covered by the law enforcement agency. Read more about this new law in the Chicago Tribune. 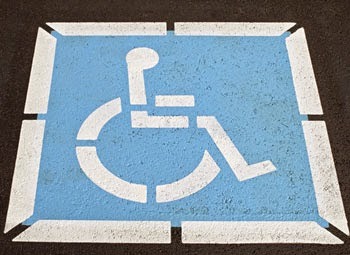 Protecting the Disabled from Fraud and Abuse. Beginning January 1, it will be a Class C misdemeanor to knowingly and falsely represent oneself as the legal guardian or public guardian of a disabled individual. Appointment of legal guardians of disabled adults. Codifies case law to make sure that the best interest and well-being of the disabled person is taken into consideration when selecting a legal guardian. Requires the same information collected in court forms to be included in an actual report. Information such as the name, business address, and business telephone number of all persons who performed the evaluations upon which the report is based. 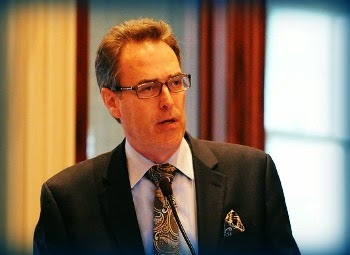 Quinn appoints Stermer Comptroller; Rauner to appoint for full term. 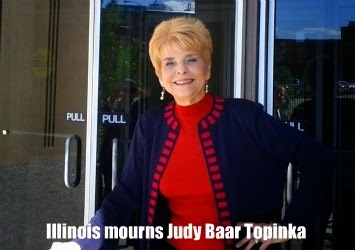 The incumbent and recently-reelected Comptroller Judy Baar Topinka passed away on Wednesday, December 10. A legal consensus calls for her office to be refilled in stages. In the first stage, urgently required to carry on essential State cash flow business, departing Gov. Pat Quinn named longtime aide Jerry Stermer as temporary Comptroller on Friday, December 19 to serve the remaining days of Topinka’s first term. Stermer will voluntarily step down as Comptroller on January 12, 2015. 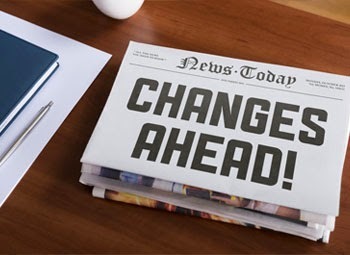 The second stage of replacing Topinka will cover the four-year term for which she was elected in November 2014, starting on January 12, 2015 (the inauguration day for Illinois statewide elected officials). The Constitution has given Governor-elect Bruce Rauner the right to make an appointment during this four-year period. The newly-appointed Comptroller will have the heavy responsibility of supervising the State’s money during a time of unprecedented demands on the cash flow of the State. Topinka revealed, before her death, that the State’s total of unpaid bills had climbed above $6 billion (Monthly Money Matters). Well, he certainly isn't leaving quietly. Gov. Pat Quinn, who lost his re-election bid last month, announced Thursday that he's calling the lame duck General Assembly to Springfield for a special session on Jan. 8, just a few days before a new governor and new legislature will be inaugurated. Why on earth? Quinn wants lawmakers to pass a bill scheduling an election for comptroller in 2016, the next chance to run candidates for a statewide ballot. The unfortunate and untimely death of Comptroller Judy Baar Topinka before she was sworn in for another term has created a debate — OK, call it a scramble — over the selection of a successor. Quinn apparently wants to deliver a kick in the pants to the man who beat him, Gov.-elect Bruce Rauner. According to Attorney General Lisa Madigan's reading of the law and the Illinois Constitution, the next governor has the authority to appoint a comptroller for the full four years of the term Topinka won in the Nov. 4 election. Read the Chicago Tribune editorial in its entirety. Fire Truck Revolving Loan Program extended to Dec. 31. The deadline for submitting applications for the OSFM and IFA Fire Truck Revolving Loan Program has been extended to December 31st! It’s not too late for departments to submit applications and supplemental documents. 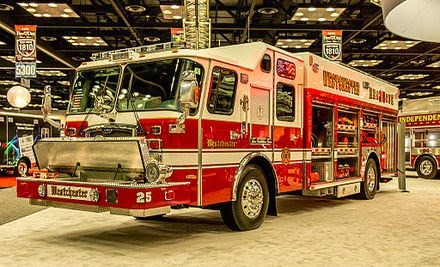 The Program provides zero-percent or low-interest loans of up to $350,000 to fire departments for the purchase of fire trucks and up to $100,000 for brush trucks. Please encourage those departments who are considering loan funding for a new vehicle to apply. Find out more here. 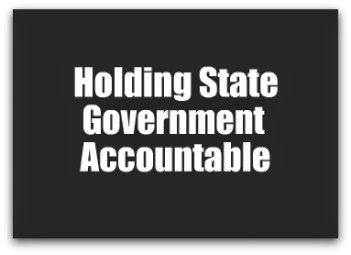 The Auditor General today released a troubling audit on the failure of the Department of Children and Family Services (DCFS) to report missing children in state custody dating back to 2011. The audit comes on the heels of an ongoing investigation into abuse and lack of supervision in DCFS residential facilities, the subject of an upcoming Illinois House hearing scheduled for January 7. The reports involve cases of physical and sexual abuse of children in state custody; including exposure to drugs, acts of violence and forced prostitution. The audit released today was conducted in response to a legislative measure adopted in May, HR 120, directing the Office of the Auditor General to conduct a management audit of the DCFS search for missing children. 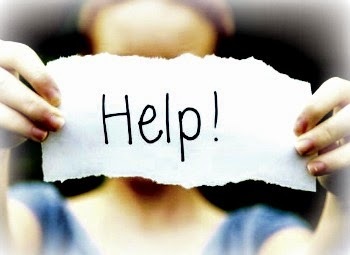 The Resolution asked the audit to determine for calendar years 2011–2012: (1) the number of children reported missing; (2) whether timely reports of missing children were made to required parties; and (3) the steps followed to locate and recover missing children, including compliance with procedures. Read more. Claiming property tax refunds in Cook County. This law provides that in Cook County only, taxpayers have 20 years to claim a property tax refund, up from the current limit of five years. It also limits refund amounts for taxes paid prior to 2009 to $2.5 million per year. Allows for property tax bill to be sent via e-mail upon request. Permits County Treasurers to send property tax bills via e-mail if the property owner or taxpayer makes a request in writing. In addition, requires sales tax on leased vehicles to be collected on the monthly payments, as opposed to prior law which provided the tax be collected on the value of the vehicle at the inception of the lease. 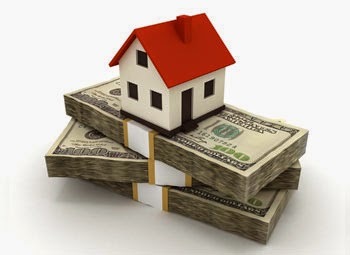 Erroneous homestead property tax exemptions. Adds interest and penalties on the principal property tax amount should an erroneous exemption have been granted. The principal property tax amount is considered the amount of the property taxes on the assessed value prior to the erroneous homestead exemption. Illinois leaders – past, present and future – gathered Wednesday morning with one common agenda: honoring the life and service of Riverside resident Judy Baar Topinka. Sharing the podium were the likes of Gov. Pat Quinn, Gov.-elect Bruce Rauner and former Gov. James Thompson. "She was always known for telling the truth, a truth-teller," Quinn said. They gathered at Local 150 in Countryside to offer praise and memories about Topinka, who died Dec. 10 at MacNeal Hospital in Berwyn after suffering a stroke. Read more in My Suburban Life. 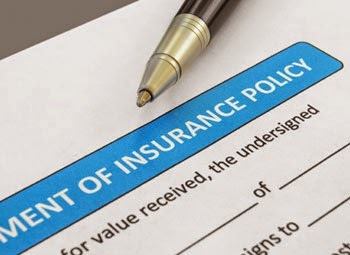 Two updated Insurance laws go into effect on January 1, 2015 in Illinois. Changes to an existing law raises the minimum mandatory coverage for automobile liability insurance. Coverage amounts for bodily injury or death to any one person is increased from $20,000 to $25,000; bodily injury or death to more than one person from $40,000 to $50,000; and injury or destruction of property of others from $15,000 to $20,000. Another law increases the amount of damages necessary for binding arbitration in uninsured motorist and hit-and-run motor vehicle cases. Currently, arbitrator’s decisions are only binding for damages not exceeding $50,000 for bodily injury or death of any person and $100,000 for bodily injury or death of two more persons. For damages not reaching that threshold, an insurance carrier can require an insured to reject the arbitration and file a complaint in circuit court for the same issues. This legislation increased those limits to $75,000 for bodily injury/ death of one person and $150,000 for bodily injury/death of two persons. The press release practically writes itself: Gov. 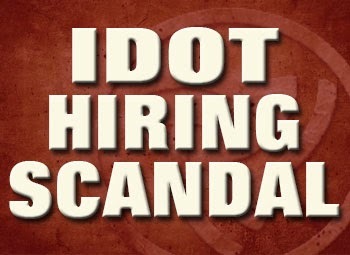 Pat Quinn signs legislation raising pay for jurors in Illinois. Lawmakers have sent the governor a very bad bill, hatched in the final stretch of a lame-duck veto session and rammed through without input from local governments or other stakeholders. It's been sold as a pay raise for jurors, and yes, that's part of it. They'd get $25 for showing up the first day and $50 a day thereafter if they end up serving on a jury. Some counties now pay as little as $5 a day. Cook County jurors get $17.20. No, that doesn't compensate them for their time, much less for travel, parking and all the vending machine snacks they eat during those wasted hours in the assembly room — but then neither would $25. The juror pay raise is a populist ruse, meant to appeal to Quinn: a little favor to the People of Illinois on his way out the door. In fact, the bill is a gift to the Illinois Trial Lawyers Association, which contributes generously to legislative campaign funds. 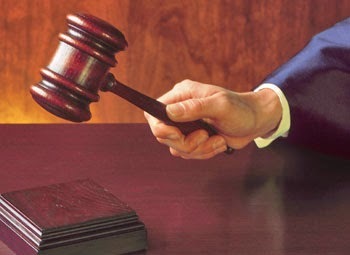 The group represents plaintiffs' attorneys, who file lawsuits for a living. The bill passed by their friends in the General Assembly is designed to stack the juries in those cases in the plaintiffs' favor. Read the Chicago Tribune Editorial in its entirety. 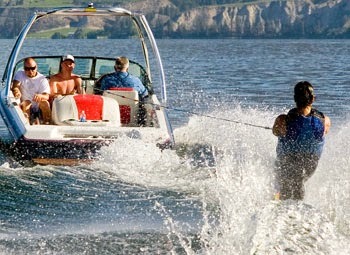 This new law requires operators of a watercraft towing a person to display an orange flag on their watercraft from the time the person prepares for towing until the person reenters the boat. The law provides that no one born on or after January 1, 1998 shall operate a motorboat with more than 10 horse power without securing a valid Boating Safety Certificate by the Department of Natural Resources or another approved agency. Beginning January 2, 2014, a watercraft may be seized by law enforcement if the owner of the craft allows an individual who lost their privilege or an individual under the influence of alcohol or drugs operate the craft. Fellow state leaders, colleagues and family will share stories and celebrate the life of Comptroller Topinka, who was the first woman in Illinois history to be elected to two Constitutional Offices and the first state Treasurer to be elected to three consecutive terms. House Republicans today praised the scheduling of a hearing of the Human Services Committee for Wednesday, January 7 to receive testimony regarding documented abuse at DCFS Residential Facilities throughout the state. The hearing comes in response to a series of disturbing reports exposing cases of physical and sexual abuse of children in state custody; including exposure to drugs, acts of violence and forced prostitution. Read more. 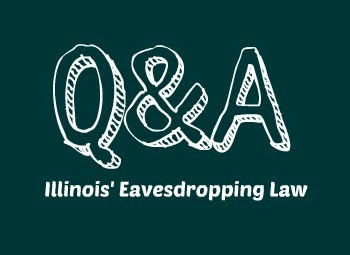 Why did Illinois need to change its current eavesdropping law? In March of this year, the Illinois Supreme Court ruled that portions of Illinois’ eavesdropping law violated free speech and due process protections of the U.S. and Illinois Constitutions. The court found that, while the law was enacted to protect private conversations from being recorded without consent, as written it was far too broad. It made criminals out of people who recorded conversations that were undeniably public, or that nobody intended to be private. You know this if you were a close friend of hers, or if you just saw it on a TV commercial: Nobody appreciated a good yard sale more than Judy Baar Topinka did. It wasn’t just campaign shtick. It was true. She could be in deep conversation about the arcana of public policy and abruptly start to gush about the antique lamp she had fetched for $5. She never understood why shoppers would pay full price for anything when there were Goodwill stores and yard sales full of great deals. Read more of today's Chicago Tribune editorial about the loss of Illinois' Judy Baar Topinka. A new law will require all new schools being build in Illinois to include a storm shelter that can withstand an EF4 tornado. 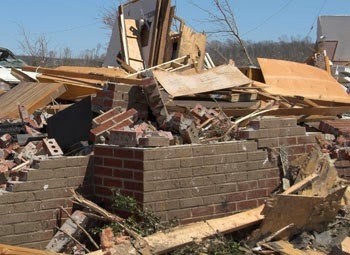 The legislation was inspired by the devastation left by deadly tornadoes which ripped through Illinois in 2012 and 2013. A new Illinois law will help adult adoptees and their decendents learn more about their ancestry. 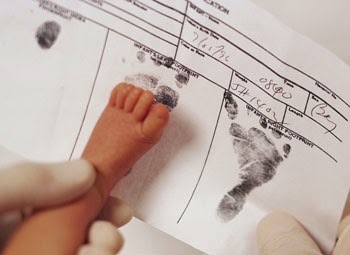 It will also allow individuals to gain information about their biological family members including obtaining original birth records when one of their grandparents was adopted as a child. Under the law, adult grandchildren will be granted access to birth certificates and other information regarding their deceased grandparents, if the grandparent was adopted. The law is effective January 1, 2015. To honor those who have served in the military and earned the Purple Heart, beginning January 1, 2015, Illinois will waive the payment of any registration or registration renewal fee for an individual issued a Purple Heart license plate. The law will also allow individuals who have been issued the Purple Heart license plate and qualify under the Senior Citizens and Disabled Persons Property Tax Relief Act to obtain a plate for an additional vehicle for a $24 registration fee. The legislation was sponsored by Rep C.D. Davidsmeyer. 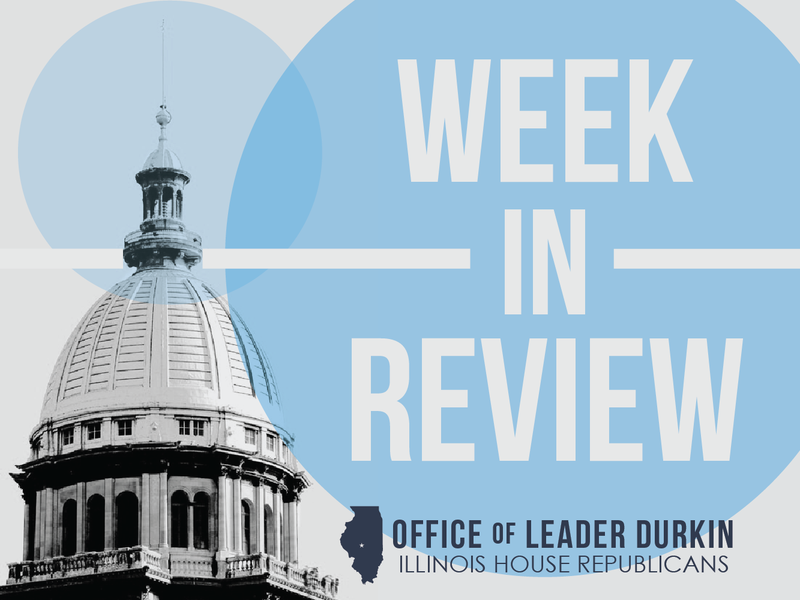 During the second week of this year’s veto session, the majority party once again sought to ignore the demand of Illinois voters and their call for bipartisan solutions. On a party-line vote of 67-46, the Democrats in the Illinois House of Representatives passed SB3075 under the guise of a narrative to reduce costs. The bill, if signed into law by Gov. Quinn prior to Gov.-Elect Rauner taking office, would slash civil juries from twelve members to six, while increasing pay by more than six-times its current level. Read more. Veto session ends on a partisan note. The first week of the 2014 Veto Session took place prior to Thanksgiving. In legislative action, members held informational and subject-matter discussions on various issues. 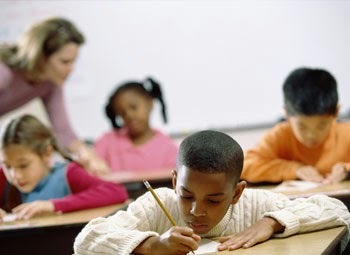 Subjects discussed included the State formula for aid to public school districts, creation of a State medical insurance state exchange, and extension for one year of the Medical Practice Act. 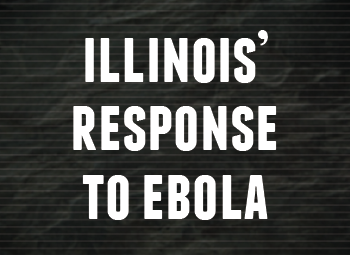 In November, Illinoisans sent a strong message to their representatives demanding not only bipartisan cooperation but also a departure from the last 12 years of record job loss and state budget mismanagement. 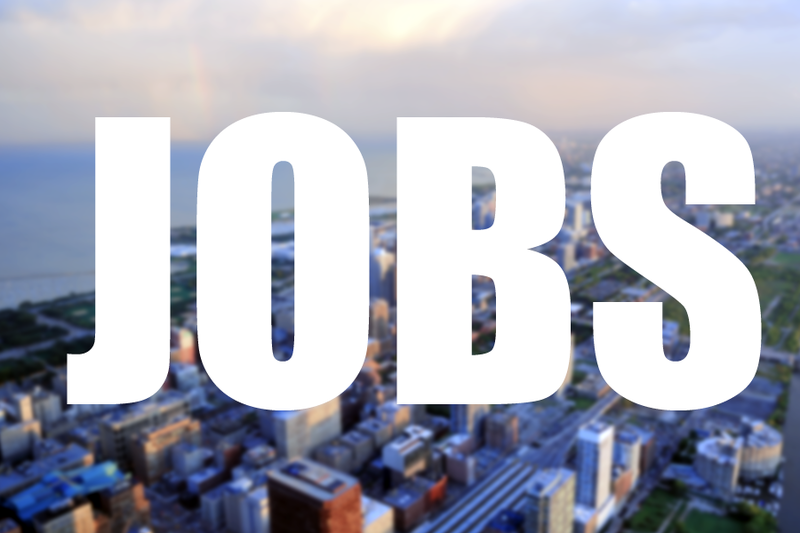 Despite the expectation of cooperation, the Democrat majority thumbed their noses at Illinois residents by unilaterally pushing legislation that will hurt job creators, put further pressures on the state budget and preserve Chicago-style politics. 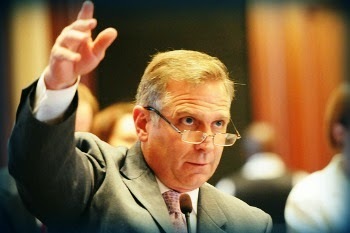 Mike Bost has served in the Illinois House since 1995. We are very proud that Mike is leaving us to join the U.S. House of Representatives as the new Congressman for Illinois' 12th District. Mike was born and raised in Murphysboro, Illinois. He and his wife, Tracy have been married for 34 years. They have three children and nine grandchildren. General Assembly prepares for second week of veto session. 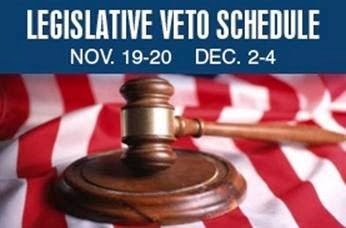 The second week of veto session is scheduled to take place immediately after Thanksgiving. The three days of active session will take place on Tuesday, December 2 through Thursday, December 4. Issues to be discussed could include regulation of the ridesharing industry, the State school aid formula, and extension for one year of the Illinois Medical Practice Act. Illinois legislature convenes for first week of “veto session.” By constitutional law, the lawmakers must gather in November to consider vetoes by the Governor while addressing any pressing issues of public concern. In all, eleven House committees held meetings to look at these bills and issues. This week they were joined by Sheri Jesiel of Winthrop Harbor, a new member who enjoyed her first session day in Springfield as the appointee to serve out the term of retiring Representative JoAnn Osmond. The second week of veto session is scheduled to take place immediately after Thanksgiving. Jim Durkin elected to full term as House Republican Leader. On Wednesday, November 19, the House Republican Caucus of the 99th General Assembly – the incoming group of 47 men and women who will take the oaths of office on January 14 – met in Springfield. Their unanimous choice for House Republican Leader was the 82nd District’s Jim Durkin, of Burr Ridge. 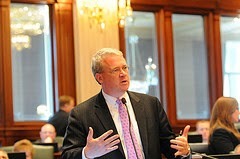 Durkin, in 2015, will enter into his second full year as leader of his Caucus. The Illinois Constitution asks the House members of both political parties to choose a leader, and gives responsibilities to both. He’ll be tasked with leading a fresh faced House Republican Caucus, more than a quarter of whom (12 of 47) were newly elected in November 2014. The 99th General Assembly will serve from January 14, 2015, until January 2017. 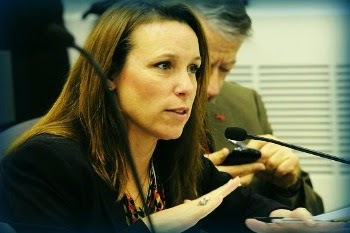 State Representative Sheri Jesiel attended her first session in the Illinois House of Representatives this week. 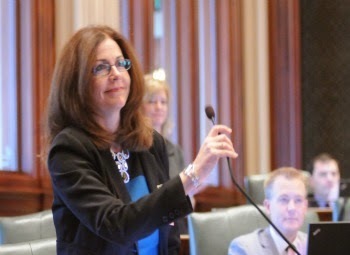 Jesiel was welcomed to the chamber by her new colleagues and immediately took up her duties of the veto session concerning legislation vetoed by Governor Quinn this summer. “I would like to thank my colleagues for their warm welcome to the chamber,” said Jesiel. “JoAnn Osmond was a wonderful Representative for the 61st District with big shoes to fill. I hope to carry-on in her foot-steps, and that of her husband Tim before her, in bringing sensible, fiscally responsible leadership to Springfield for the sake of the residents of the 61st District.” Read more. 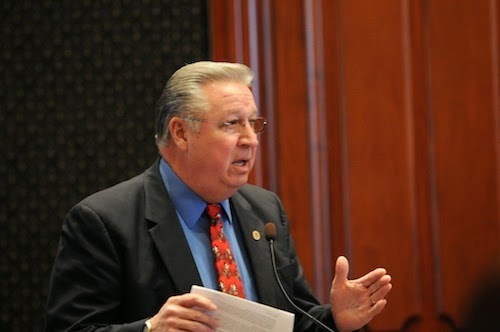 State Representative Jim Durkin (R-Burr Ridge) today has been re-elected unanimously by acclamation to the position of House Republican Leader by his peers. 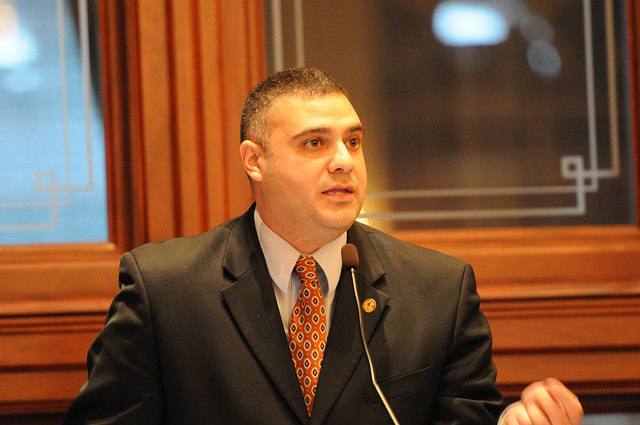 The House Republican Caucus for the incoming 99th Illinois General Assembly convened for the first time Wednesday for the vote, including 12 new members and 35 returning members. 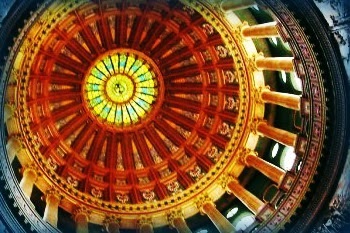 Inauguration of the 99th General Assembly is scheduled for January 14, 2015 at the University of Illinois at Springfield. Lawmakers return to Springfield this week for the 2014 Veto Session. Earlier this year, Governor Quinn issued either a partial or full veto of ten bills. He also issued a line item veto to HB3793, one of the FY15 appropriations bills. Read more about the vetoes. Every state is struggling with the explosive growth and cost of its Medicaid program. Illinois, however, found a way to reduce Medicaid spending significantly, freeing up money for other important projects—or better yet, tax cuts. 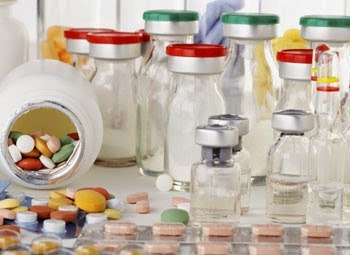 Medicaid, the government health-insurance program for the poor and disabled, covered 72.2 million people for at least one month in 2012, according to estimates from the Department of Health and Human Services. But enrollment is growing quickly. The Centers for Medicare and Medicaid Services reports that Medicaid and the Children’s Health Insurance Program (CHIP) enrollment is up by about 8.7 million people—nearly 15%—since the Affordable Care Act’s October 2013 rollout. Total Medicaid spending was about $432 billion in 2012. The federal government provided $250 billion, or a bit more than half, but states paid the rest. For many states, Medicaid is already their single largest expenditure, and now it is demanding more, forcing state governments to limit or reduce spending in other important areas like education and welfare. Enter the Illinois solution. In 2013, the state faced a Medicaid budget shortfall of $2.7 billion. Springfield had begun implementing some reforms, such as shifting more Medicaid recipients into private managed-care organizations, but that wasn’t enough. So Illinois state Rep. Patti Bellock garnered bipartisan support to pass legislation in 2012 that included several Medicaid reforms. One of the most important was a provision to establish the Illinois Medicaid Redetermination Program to “redetermine” if Medicaid enrollees were still eligible to participate.Every state is struggling with the explosive growth and cost of its Medicaid program. Illinois, however, found a way to reduce Medicaid spending significantly, freeing up money for other important projects—or better yet, tax cuts. Read more by Merrill Matthews in the Wall Street Journal. Fracking rules approved; jobs and opportunity coming to Southern Illinois. The rules, from the Illinois Department of Natural Resources (DNR), are a legally essential element for engineering teams to enter Illinois properties and drill for fossil fuels. Up until now, Illinois has not had rules or a permit structure in place to cover horizontal drilling in sedimentary beds of shale rock. A newly-invented segment of oil drilling technology, “fracking,” has sprung up to puncture these tightly-bound particles of rock and force them to yield their crude oil and natural gas. A significant deposit of New Albany shale, believed to be oil-rich, lies underneath many counties of southeastern Illinois. Southern Illinois will soon witness the economic boom tied to hydraulic fracturing, or fracking, of natural oil and gas in Illinois. On Thursday, the 12-member Joint Committee on Administrative Rules issued a “certificate of no objection” to fracking regulations for the State of Illinois. This historic milestone authorizes the fracking permit process to get underway, and in doing so, brings Southern Illinois communities one-step closer to a windfall of new jobs and revenue. New natural gas production in Illinois could create more than 45,000 jobs and $9 billion in economic impact, according to an Illinois Chamber Foundation study. The economic opportunities associated with fracking are limitless. Local businesses will witness new revenue with an uptick of clientele purchasing materials. Thousands of jobs are anticipated in the workforce spanning from the fracking/drilling industry, transportation, as well as new retail employees to meet heightened demand for services. Landowners can also move forward with leasing land for the fracking industry to drill on. Operated by Cronus Chemicals LLC, the new plant will create over 2,000 construction job opportunities, provide for 175 full-time permanent jobs and have an economic impact to the community estimated to be in the hundreds of millions. Operations are expected to begin in 2017. Will Illinois' New Laws Streamline Procurement? 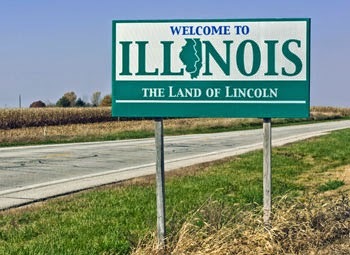 Illinois has put two new laws on the books that state officials hope will clarify the state’s purchasing process and emphasize a move to cloud technology and shared services. House Bill 5491 better defines the authority of Illinois chief procurement officers and requires state officials to more clearly state the requirements and specifics of what they want to purchase. 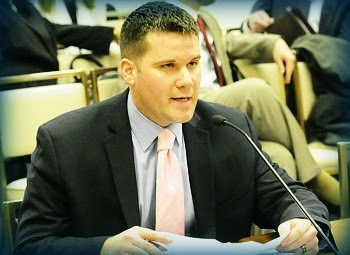 HB 1040 creates a mandate where agencies must consider cloud solutions before investing in new technology. Both measures have been signed by Gov. Pat Quinn. HB 1040 went into effect in March, while HB 5491 is official as of Jan. 1, 2015. Read more by Brian Heaton in Government Technology. Comptroller counts $5.82 billion in unpaid bills. The October 2014 count of unpaid bills was submitted to her Twitter followers by Comptroller Judy Baar Topinka on Tuesday, October 21 under the Twitter hashtag #ILbillbacklog. The past-due bill count, which can also be seen on Topinka’s Facebook page, is $500 million greater than the comparable figure in mid-September. State Rep. Raymond Poe next week will begin undergoing a stem cell transplant designed to replace his bone marrow and cure a blood disease. “That’s what they’re telling me in Texas, you’re coming down here for a cure, not a treatment,” Poe said. Poe, a Springfield Republican, was diagnosed with Myelodysplastic syndrome or MDS. In an interview with The State Journal-Register in August, Dr. Leonard Giannone, a Springfield oncologist and hematologist who has treated Poe, described the disease as a low-level malignancy of the stem cells that produce blood. He said it is not a fast-growing cancer, and that patients can live with it for years. Read the story by Doug Finke in the Springfield Journal-Register. Too bad the Legislature didn’t apply a little weather-stripping to keep its home energy-efficiency program from leaking money and promised jobs. This boondoggle of a state program was done in by either politics or incompetence, not unlike the way Gov. Pat Quinn’s anti-crime Neighborhood Recovery Initiative was botched. Can’t Springfield get anything right? Five years ago, lawmakers enacted the Urban Weatherization Initiative. The idea was to train workers in predominantly African-American communities to refit old buildings, creating jobs and lowering utility bills. The notion was laudable, but the program had some gaping holes. As a result, only a fraction of the 1,900 people trained to be laborers and inspectors actually got jobs, according to a Better Government Association report in Monday’s Sun-Times. Only 183 homes have been upgraded. And more than $13 million of the $16-million-plus spent so far has gone for administrative costs and training. Read the rest of the SunTimes Editorial. Negotiations continue on new rules. The Illinois Department of Natural Resources continues work to finalize the rules it will use to regulate future horizontal shale drilling in Illinois. New engineering technologies, known as “fracking,” have multiplied the power of drilling activity to get oil and natural gas out of rock characterized by tightly-packed grains of clay and sediment – the kind of rock known as “shale.” Until recently, engineering challenges prevented these deposits from being drilled and pumped.